Cruz said he’ll try again with the bill in the new Congress. “My intention is to move forward and pass it again, and then work with the House,” he said. He said that the differences with the House that kept the bill from winning passage there last year were less with the substance of the bill than “turf battles” over jurisdiction. Commercial space issues are generally handed by the House Science Committee, but the House Transportation Committee has shown an increasing interest in the topic, particularly in areas like access to airspace for launches and reentries. 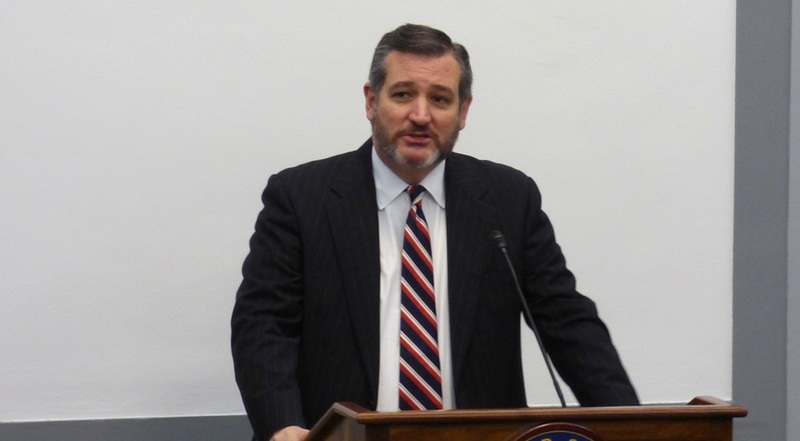 “We will work very closely with the incoming chairman in the House and, hopefully, as we have on prior bills, get agreement and move this forward,” Cruz said. He compared it to two years earlier, when the House and Senate were working on a NASA authorization bill but could not get it passed before Congress adjourned at the end of 2016. Congress did pass a NASA authorization bill early in the new Congress in 2017. “The work getting to consensus then sets the stage for final passage,” he said. One area of debate between the House and Senate has been where to place authority for oversight of commercial space capabilities. The House, as well as the National Space Council, have argued for handing that work to the Department of Commerce and its Office of Space Commerce. Senate Democrats, though, have sought to instead give that to the Department of Transportation, particularly the Federal Aviation Administration’s Office of Commercial Space Transportation. Cruz said he had no strong opinion on the subject. “In listening to the varying views, I found myself somewhat agnostic,” he said. “I understood the arguments for going in one direction or the other. I wasn’t overwhelmingly convinced by the arguments on either side.” That’s why, he said, the Space Frontier Act didn’t make a concerted effort to assign those regulatory responsibilities to either department. Either the new version of the Space Frontier Act or a new NASA authorization bill will also retain the extension of the ISS to 2030, he said. Cruz and others in the Senate, including now-former Sen. Bill Nelson (D-Fla.), pressed for that extension in response to plans in NASA’s fiscal year 2019 budget proposal to end direct federal funding of the station in 2025. Cruz said he’s hoping that space will remain a bipartisan issue despite heated partisan debates on other topics. Those disputes have led to the ongoing partial government shutdown, now nearly four weeks old, that has furloughed most of NASA’s civil servant workforce. Cruz didn’t directly address the shutdown in his remarks, but did warn of sharp partisan divides in Congress in the next two years, with Democrats now in control of the House while Republicans retain control of the Senate.